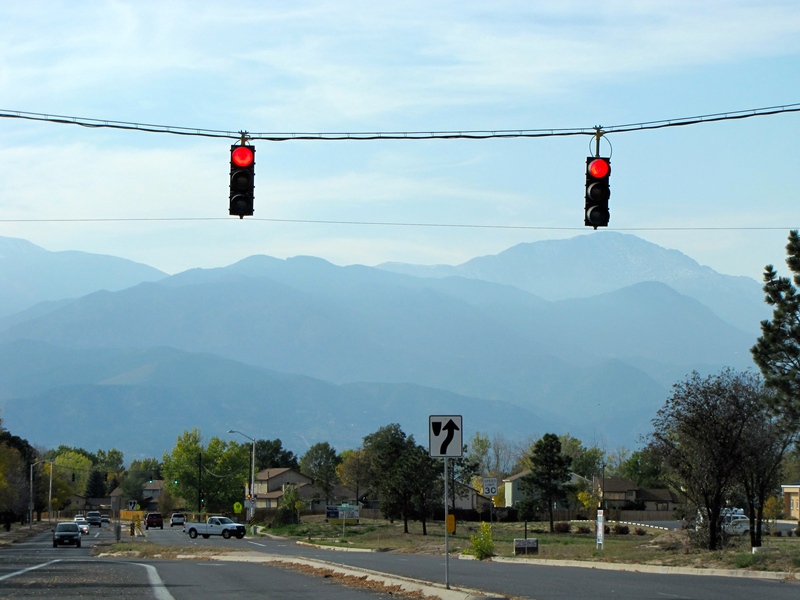 I took this at the intersection by my house with my cellphone when I still lived in Colorado. I was after the mountain, but I ended up with road, stop lights and all, so I’m almost positive I have never used it. 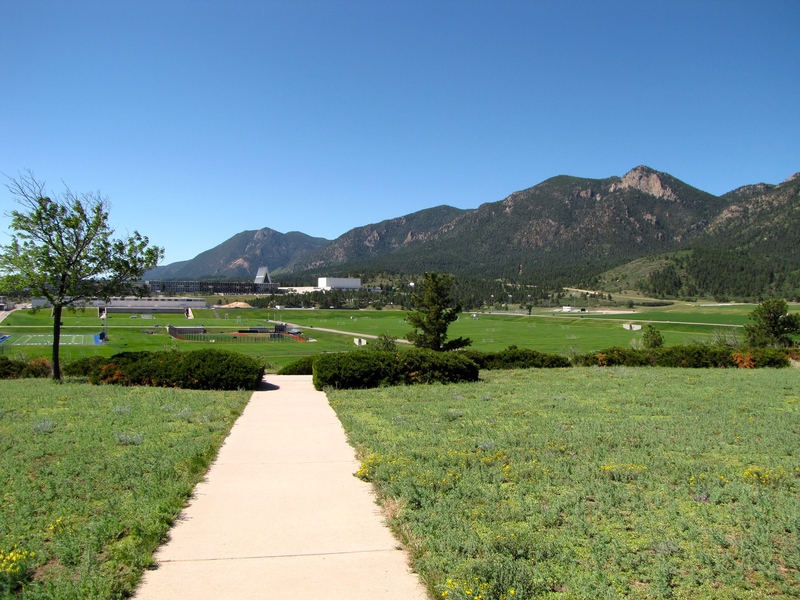 I loved going to the Air Force Academy and coming to this overlook. Sometimes you could see the cadets practicing sometimes nothing would be going on at all. But it was still a very beautiful sight to be seen. 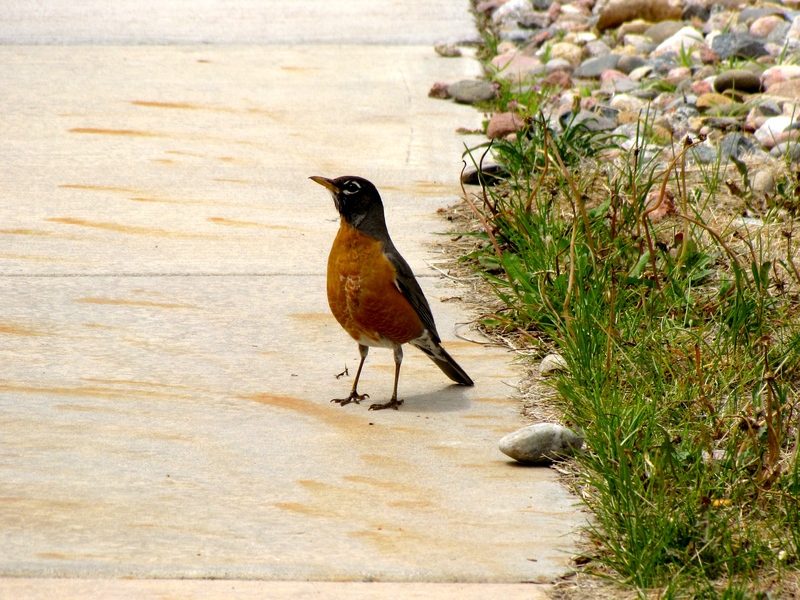 A bird on a sidewalk… it still counts right?